The dragon slowly wakes from its slumber, and deep within the flesh its flames begin to build. Rumors begin to spread across the land saying the wizard has come down from the mountains, and he is looking for heroes. Whispers drift on the winds as the gods call their faithful to arms once again. Players everywhere begin to warm up their dice, while dungeon masters cackle evilly behind their screens. 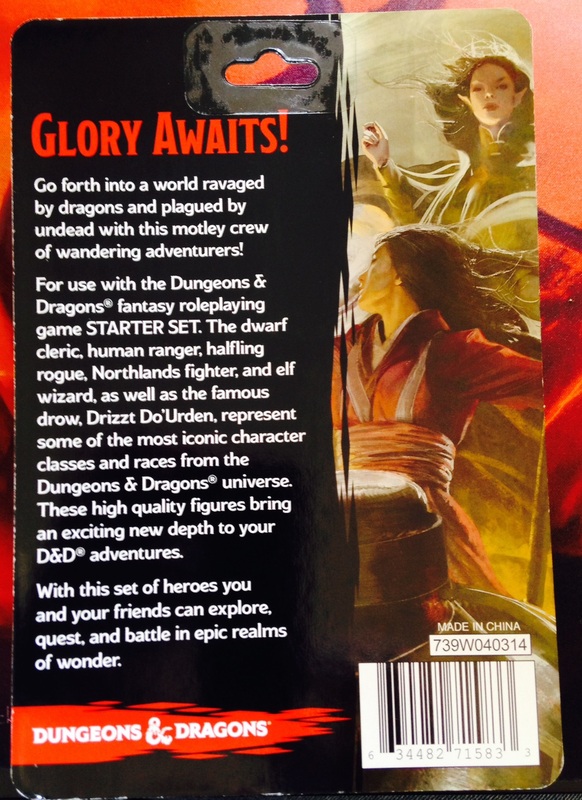 Dungeons & Dragons 5th Edition is here! The gaming community has been an important part of the playtesting process, but we received our first real taste of “D&D Next” last month with the release of the Dungeons & Dragons Starter Set along with the D&D Icons of the Realms Starter Set (pictured to the right). Now the D&D Player’s Handbook and Hoard of the Dragon Queen adventure module have hit the streets (at select stores in the Wizard Play Network) and things are really swinging into motion. While miniatures are not required for all styles of play Wizards of the Coast is doing their part to support those who still enjoy using miniatures at the game table. Glory Awaits! As do the paints you will need to clean up these minis! 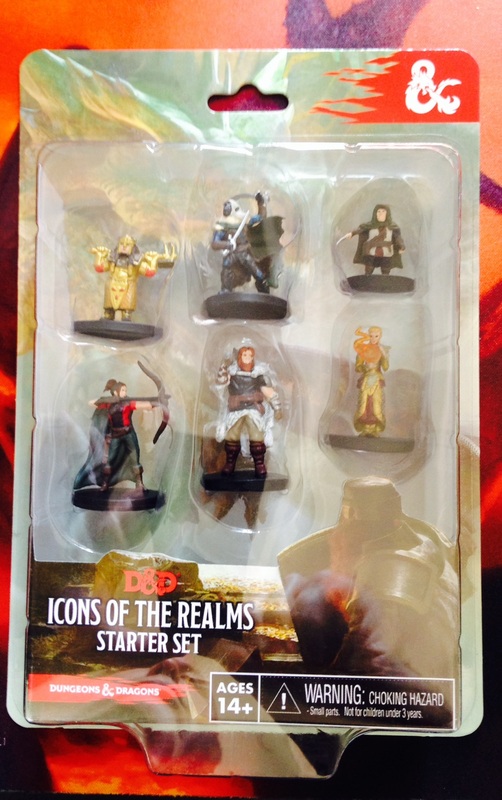 The D&D Icons of the Realms Starter Set includes six miniatures. I picked up a set at the TBS Comics! in the Fort Walton Beach area for $19.99 + tax. Roughly that comes up to $3.70 a mini when all is said and done, a decent price at first glancce. 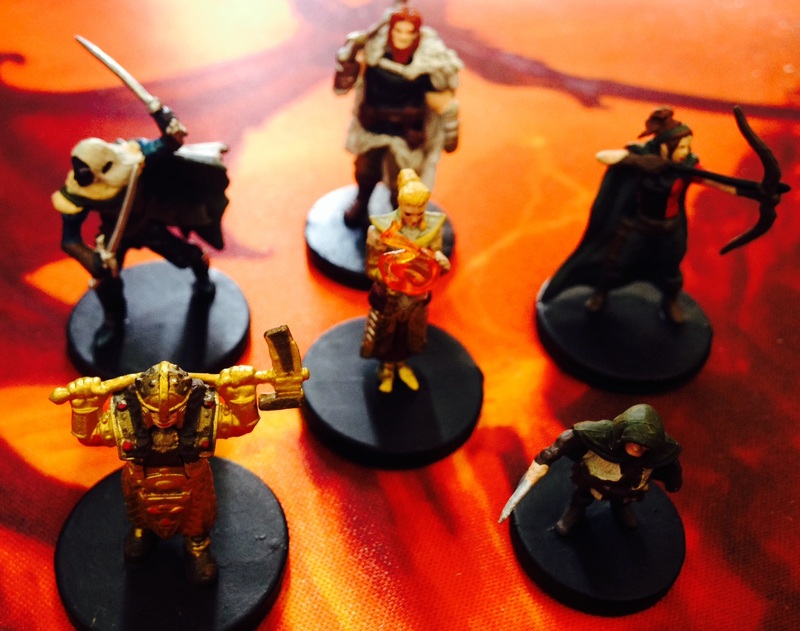 The set includes a gold dwarf female cleric, drow elf ranger Drizzt, a lightfoot halfling rogue, a human female ranger, a Northlands fighter, and a sun elf female wizard. Each mini has a moderate amount of detail adding utility as they can easily be used to represent other types of races and classes without stretching the imagination too far. My only real complaint about the set is I expect a much nicer paint job on my plastic miniatures, especially when we are talking about a $20 price point. The paint job really leaves a lot to be desired with few colors, no highlights, blotchy eyes, and a good number of manufacturing mistakes throughout the bunch. Honestly, if you have other options at your disposal I advise you save your money. A couple of the minis are nice (namely, the wizard) but most are a disappointment. I am not even sure I will use some of these until after I have slapped some paint of my own on them, and the dice gods know we have already seen more than one Drizzt miniature in previous sets of minis from WOTC. Even if you don’t have any minis and you are looking to start your collection, my advice is to shop around and see if you can find this set at a lower price point. Anywhere from $12 to $15 would be more reasonable. If you can’t, then save your money and buy some Pathfinder Pawns or shop for individual minis. You can easily find more bang for your buck out there, and at a higher level of quality.